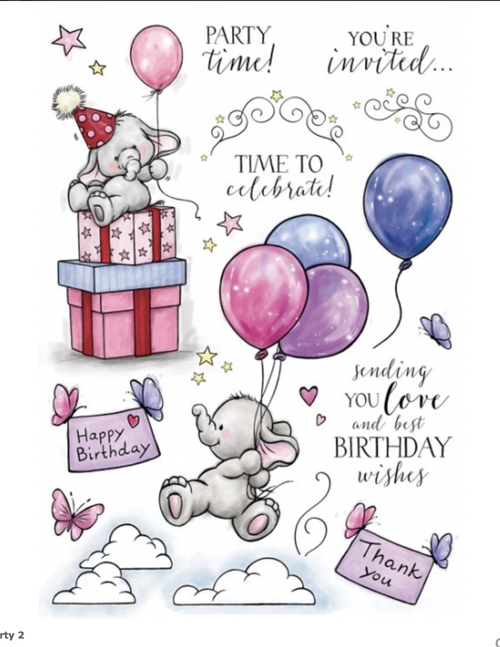 Welcome back and wanted to share an envelope and card that I made using the Lemon Craft Violet Silence collection of papers purchased from The Rubber Buggy. 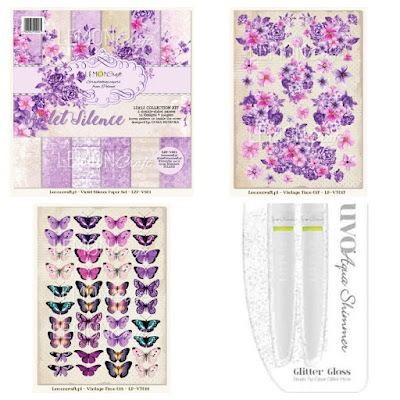 Isn't the paper collection from Lemon Craft Violet Silence just so stunning? 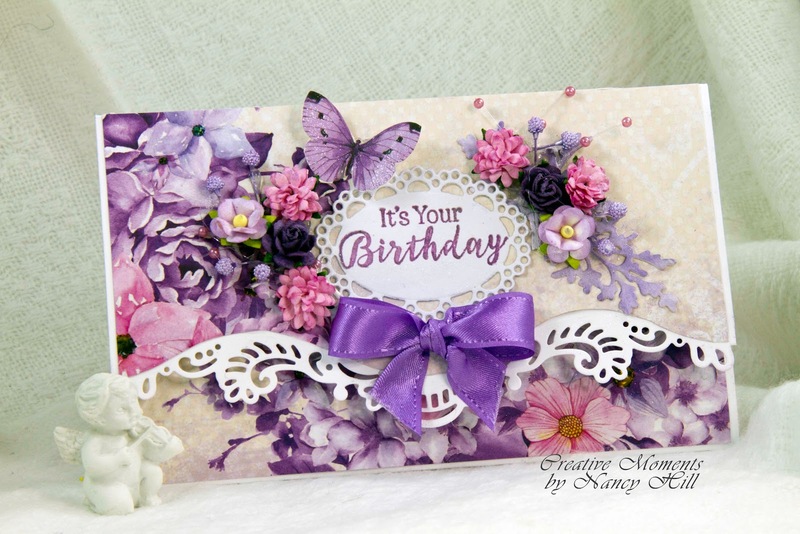 I am using the Lemon Craft butterflies on several of my cards and projects. 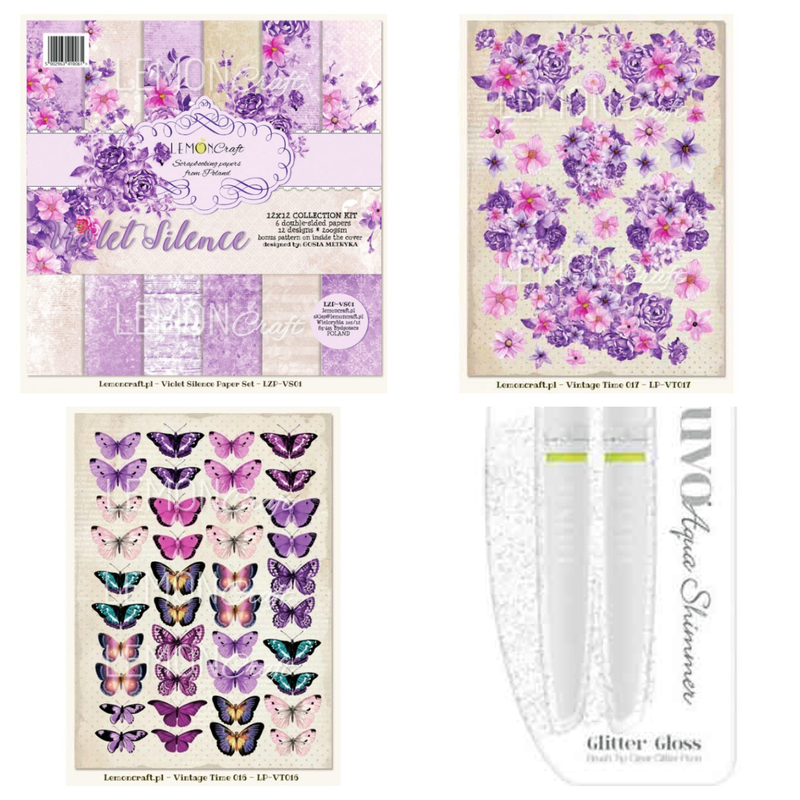 Plus the flowers and stamped sentiment always looks more wonderful using the NUVO Aqua Glitter Gloss Pen. I use this pen somewhere on all of my projects and cards. It provides just enough glitter to highlight where you use it. 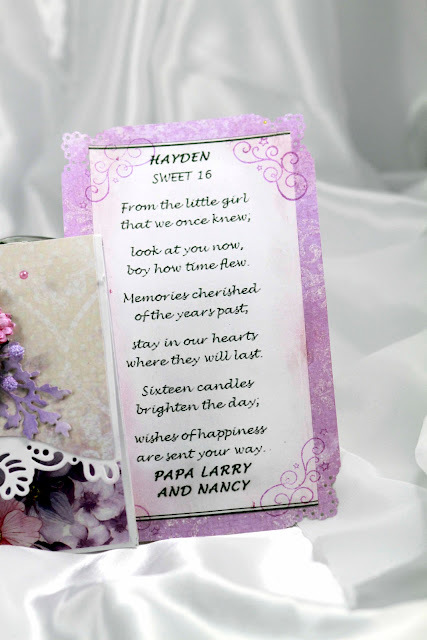 I used basic heavy weight card stock for the base and glued the Lemon Craft Violet Silence paper to the front. Here is one of my tutorial HERE that will help you make your envelope. 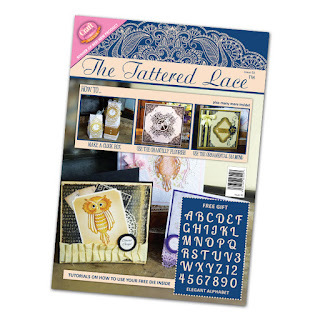 The number 16 for the age is a free die in the Tattered Lace #3 Magazine. I use this free die of alphabets and numbers often and the size is perfect for many of my projects and cards. My friends borrow this die often since they like it so much. I ran out of time to make my flowers and used the beautiful Wild Orchid Craft flowers from The Rubber Buggy on-line store. 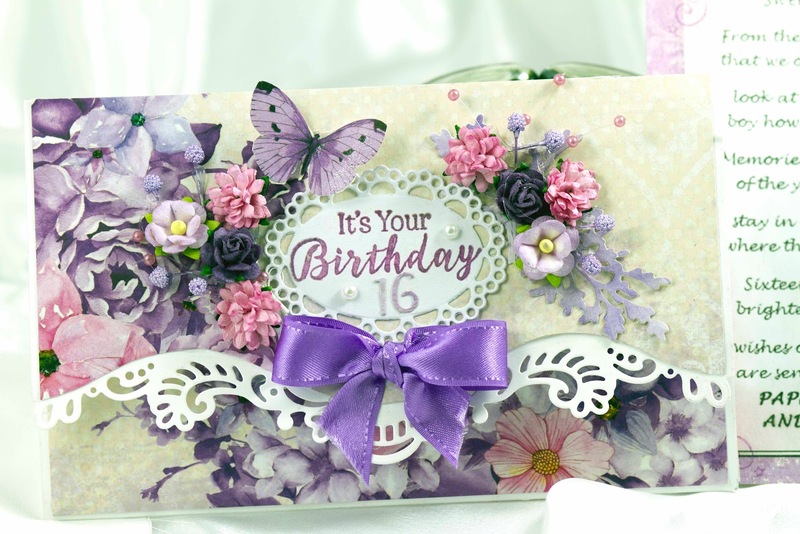 Since I have a grand daughter turning 16, I personalized it by adding the 16 to the front of the envelope and adding a typed/printed card glued to the purple paper found in the Lemon Craft Violent Silence paper pack. The beautiful white border on the envelope is from the Heartfelt Creations Delicate Border die set and the beautiful sentiment is from the Heartfelt Creations Small Petunia stamp set. 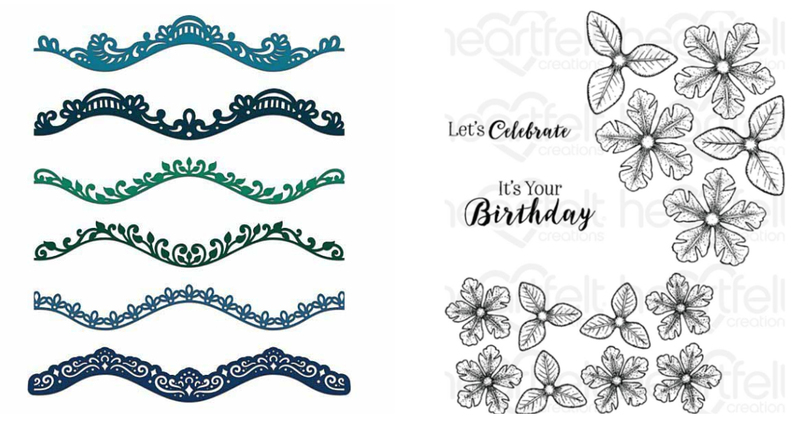 The stamped scrolls on each corner is from the Wild Rose Studio Bella Party #2 stamp collection in which you will be seeing one of these stamps from this collection in many of my card in the near future since I just got it. 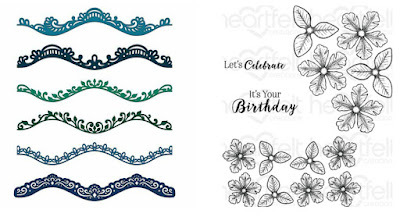 Look at the adorable butterflies flying around with the Happy Birthday banner. So I hope I have inspired you to make a card with the gorgeous Lemon Craft Violet Silence paper collection and other craft dies, stamps and supplies from The Rubber Buggy on-line store.